Our men and women will begin competing at the 2018 World Championships in Doha, Qatar, later this week, so I thought I would take a moment to update you on some recent activities at USA Gymnastics. Last week, we announced the U.S. Gymnastics Championships will return to Kansas City, Mo., for the first time since 1987. 2016 Olympic gold-medalist Laurie Hernandez joined USA Gymnastics Board Vice Chair David Rudd and other members of the gymnastics community for the announcement at Sprint Center. 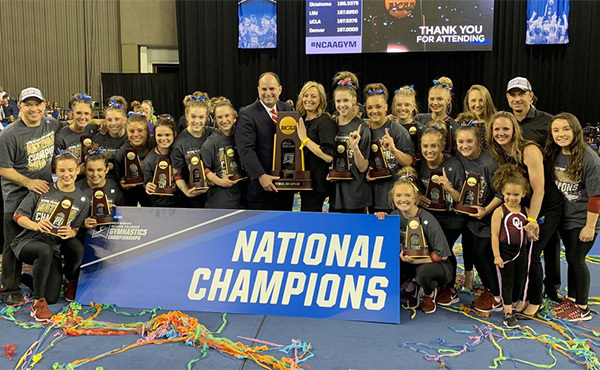 Scheduled for Aug. 8-11, 2019, at Sprint Center, the four-day championships will feature the country’s best gymnasts vying for national titles and national team berths. 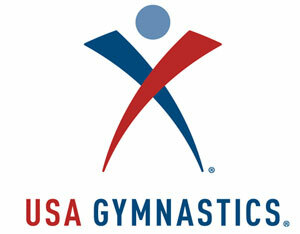 Additionally, the USA Gymnastics National Congress and Trade Show will be held at the same time at the Kansas City Convention Center, where nearly 3,000 coaches, judges, gym club owners and administrators will be in town to attend educational seminars at Congress and to enjoy the competition. Today we announced the hiring of Shelba Waldron -- a longtime child advocate – as the new director of safe sport education and training. We are thrilled to welcome Shelba to USA Gymnastics, where she will be responsible for developing and implementing all aspects of our safe-sport educational programs and training services. She has worked extensively with youth development agencies to create safer environments for children and has developed educational materials and safety training programs for children and adults. Her training sessions cover a number of topics, including recognizing the signs of sexual abuse, bullying and other forms of abuse and misconduct, appropriate adult-to-youth interactions, and proper reporting procedures. She will begin her position on November 5 and will be based in Indianapolis. Youth Olympic Games. Brandon Briones won the men’s vault title, as well as a bronze medal for the multi-discipline event. 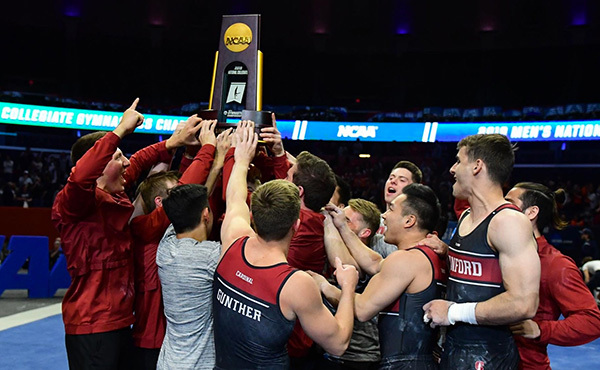 He also finished fourth in the all-around, still rings and high bar, and fifth in the floor exercise and pommel horse finals. 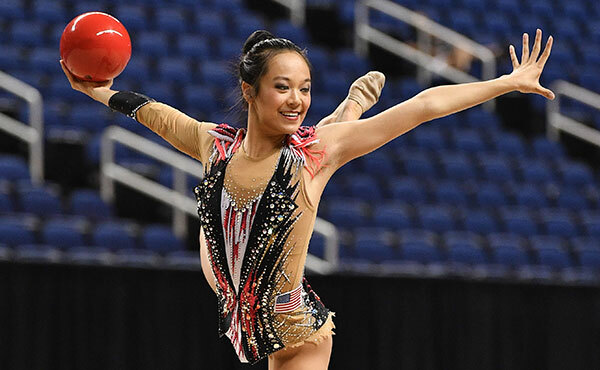 Alyssa Oh placed eighth in the trampoline finals, and Elizabeth Kapitonova was 11th in the all-around qualification and a reserve athlete for the finals. Loule (Portugal) World Cup. Nicole Ahsinger and Sarah Webster won the women’s synchronized trampoline silver medal at trampoline and tumbling’s World Cup. World Gymnastics Championships. The World Championships begins in Doha tomorrow. The members of the 2018 U.S. World Championships Team are: women – Simone Biles, Kara Eaker, Morgan Hurd, Grace McCallum, Riley McCusker and Ragan Smith; and men – Sam Mikulak, Akash Modi, Yul Moldauer, Colin Van Wicklen, Alec Yoder and alternate Allen Bower. 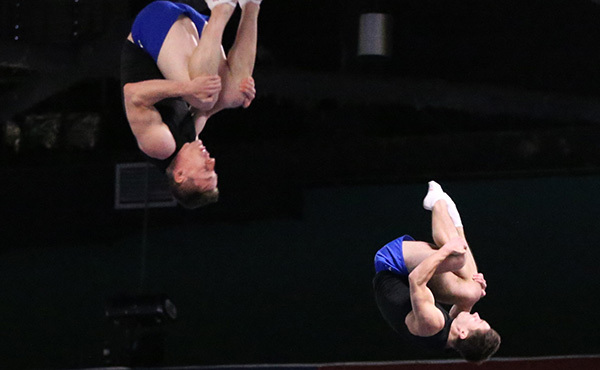 The U.S. men compete on Oct. 26 and the women on Oct. 27. 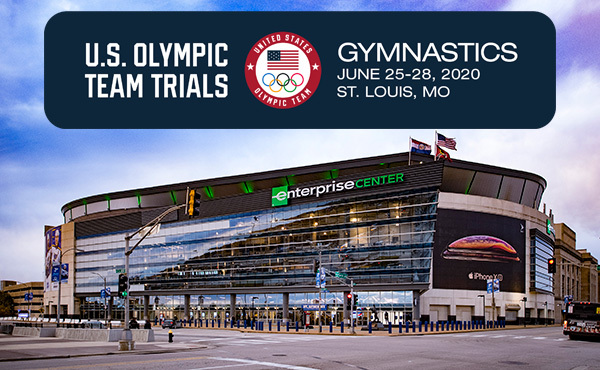 We hope you will cheer on our men and women who are competing to qualify the USA for the team competition at the 2020 Olympic Games. USA Gymnastics will livestream the qualification rounds, available on nbcsports.com/live, and archived coverage of the USA’s men’s and women’s podium training is available on the USA Gymnastics YouTube Channel. 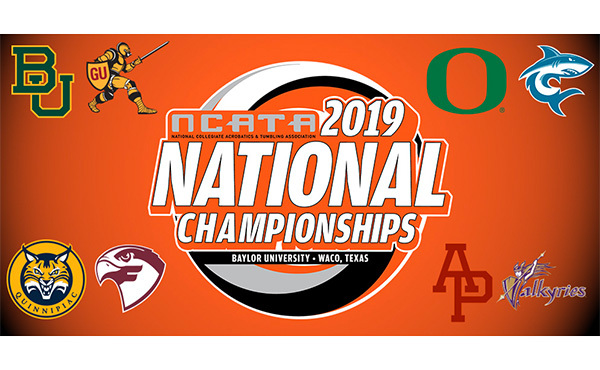 The finals will be available live via OympicChannel.com and the Olympic Channel, with taped coverage on NBCSN and NBC. 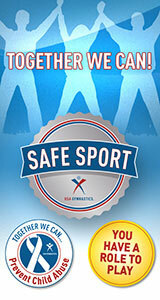 For information on how to follow the action, go to usagymworlds.org. On behalf of your Board of Directors, I want to thank you for your support and patience as we do our best to guide the organization through our current challenges and to provide the support our members deserve. As always, we welcome your input and guidance on how we can better serve our members and the entire gymnastics community.